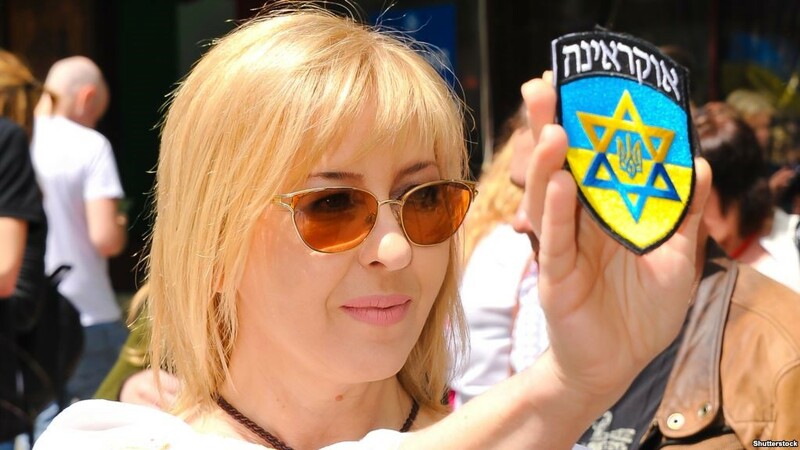 Israeli report: Has the level of anti-Semitism truly doubled in Ukraine? A report released by Israel’s Ministry of Diaspora, published ahead of International Holocaust Remembrance Day, calls Ukraine a country where anti-Semitism is growing. The report has been circulated on social media, especially the notion that “Ukraine is the leader among the former countries of the USSR in terms of anti-Semitic incidents.” What does the report actually state? This article by Iryna Shtogrin originally was published in Ukrainian on the Radio Svoboda website, which owns the copyright. 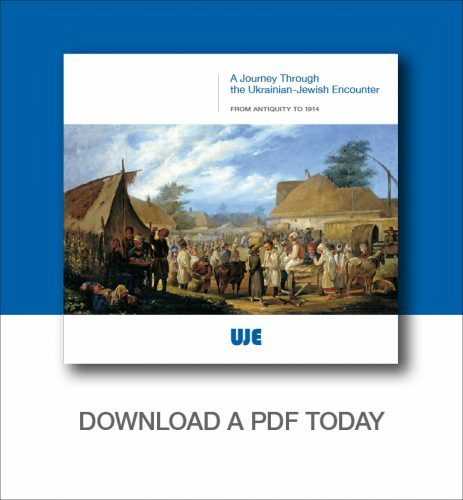 The Ukrainian Jewish Encounter translated the article into English. Israel’s Ministry of Diaspora Affairs published its report on worldwide manifestations of anti-Semitism that took place in 2017 on 21 January 2018, ahead of International Holocaust Remembrance Day. Presenting the report, Israel’s Minister of Diaspora Affairs Naftali Bennett declared that the number of recorded anti-Semitic incidents has doubled in Ukraine. 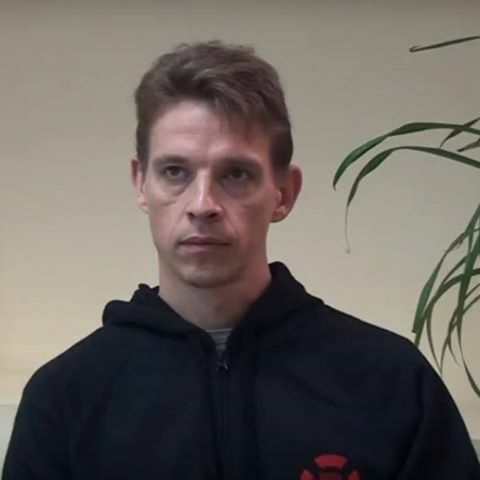 Vyshniakov also emphasized that “it is very unpleasant for him to hear all this.” “Ukrainians and Israelis are friends, and this means that we should respect and support each other,” he wrote. 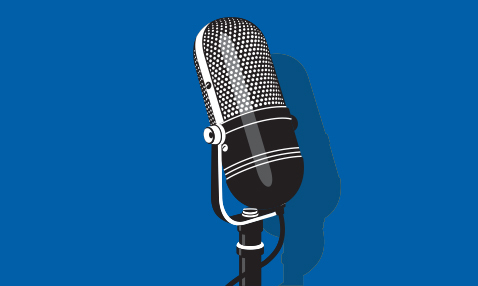 Radio Liberty asked Vyacheslav Likhachev, head of the National Minority Rights Monitoring Group, to comment on the contents of the annual report and give his assessment of the situation around anti-Semitism in Ukraine. Does the report correspond to the real state of affairs? It is not clear to me what is going on. I do not remember a single incident connected with any manifestations of anti-Semitism in the state sector. 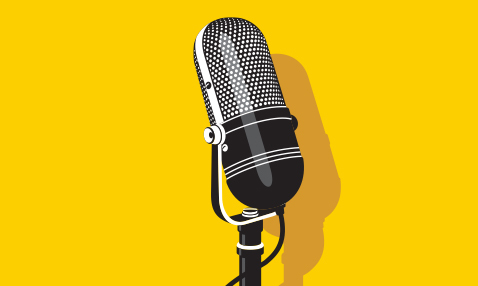 If we are talking about the political sphere, then of course, just like all over the world, anti-Semitic statements made by representatives of marginal groups have been recorded, especially on social media, which create a specific informational context. However, if you really try to analyze the dynamics, the picture looks completely different. One can mention, for example, the situation in 2012–2013, when some People’s Deputies from the All-Ukrainian Union “Svoboda” allowed themselves to make certain anti-Semitic declarations, or 2003–2007, when the Interregional Academy of Personnel Management, and the Ukrainian Conservative Party connected with it, launched an absolutely unprecedented propaganda campaign. Perhaps some people will recall that Silski Visti [Rural News], a large-circulation socio-political daily newspaper, published some anti-Semitic materials. Today nothing of the like has been observed. However, the fact is that the authors of the report did not do any systematic research. Moreover, they did not even analyze existing data compiled by professional profile organizations that conduct monitoring of xenophobia in Ukraine. Judging from the sources that are cited in the footnotes, the state Israeli structure restricted itself to a random sampling of what the Internet “coughed up,” without comprehending the veracity of the information. This is particularly striking when you analyze the report’s most blatant claim that the number of anti-Semitic incidents in Ukraine has supposedly increased twofold compared to preceding years. The fact is that the monitoring of hate crimes, particularly anti-Semitic attacks and vandalism motivated by intolerance, has been carried out systematically in Ukraine for more than ten years. If you compare the real indicators of 2016 and 2017, collected by the National Minority Rights Monitoring Group, the situation looks completely different. Yes, the number of acts of anti-Semitic vandalism did indeed rise, but insignificantly—from 19 to 24. However, not a single case of violence motivated by anti-Semitism was recorded in 2017, and in 2016 only one such incident took place. Where did these findings come from? In my opinion, those who drafted the report simply summarized all the “incidents” that became known to them, regardless of their character. For example, shouts during a public meeting were counted as real cases of vandalism. This is a blatant lack of professionalism and a violation of all standards of documenting hate crimes, which are followed by professional monitoring groups both in Ukraine and the rest of the world. Figuratively speaking, this is tantamount to drawing up a list of the number of matches in a box, snow on a street, and air in the atmosphere. Meanwhile, in 2017 Jews in France were attacked with weapons—their attackers accompanying their acts with anti-Semitic insults and clearly revealing their motives—on streets and even in their own homes. It is difficult even to say how many times more often Jews are attacked in other countries, since it is not correct to compare zero. Suffice it to say that anti-Semitic violence in Ukraine has simply not been recorded at all. It is clear that the theses pertaining to Ukraine, which feature in the Israeli report, were eagerly seized upon by those media that work in the field of Russian propaganda. Meanwhile, a careful examination of the text of the report makes it eminently clear that the claim that the situation has “worsened” and that the number of anti-Semitic incidents has “doubled” is baseless. However, you have to understand that the report is a current, working thing. But it is necessary to consider the wider context and its dynamics, as well as the fact that the topic of anti-Semitism was very important in the anti-Ukrainian propaganda campaign unleashed by the Kremlin in order to excuse and even justify [Russia’s] aggression against Ukraine. However, owing to the active reaction of the Ukrainian Jewish community and partly because there were no real grounds for speculating about anti-Semitism in Ukraine, efforts to neutralize the effectiveness of this anti-Ukrainian campaign throughout the world were successful. In the last few years Ukraine’s memory politics have become the focus of special attention. Partly because of “scandalmongers” and partly because of obsolete stereotypes concerning Ukrainian-Jewish relations, the activities undertaken by the Institute of National Remembrance are often perceived internationally at the very least with ambivalence or fear. It is clear that the Kremlin is inflating these fears, but you can’t explain everything only by the “hand of the Kremlin,” which is directing the activities of Facebook trolls and bribing people and organizations to commit malicious acts, Likhachev said. What does the report say about the Ukrainian Institute of National Remembrance and Volodymyr Viatrovych? The annual status report on worldwide anti-Semitism, unveiled by the government of Israel, criticizes the activities of the Ukrainian Institute of National Remembrance. 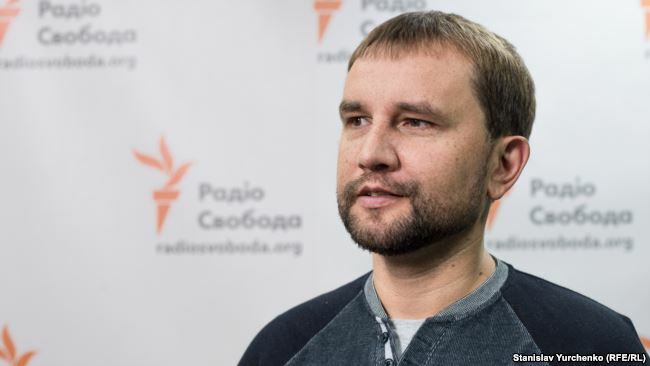 “The Institute of National Remembrance, headed by Volodymyr Viatrovych, is working hard to glorify the national struggle for liberation and independence. Under the aegis of the institute, state ceremonies are held, during which citizens and the authorities are called upon to honor those who ‘fought for the liberation of the people of Ukraine.’ Meanwhile, some of these national heroes not only encouraged the persecution of the Jewish population on the part of these ‘oppressors,’ but also took part in their destruction,” the report states. “Ukraine is overcoming the legacy of the communist, totalitarian past, uncovering for itself and the world the previously classified pages of its past, particularly those that recount the struggle of our ancestors for liberty. These processes, analogous to the path taken by our neighbors in Central and Eastern Europe and, to a certain degree, Israel itself, have become more active because of Russian aggression. The new generation is forced once again to defend the independence of the state in war. The goal of Russian propaganda is to discredit the formation of Ukraine’s own view of its past. For this it uses Soviet myths and stereotypes, in which the fighters for Ukrainian independence were depicted as traitors, collaborationists, and anti-Semites. It is regrettable, but the results of the impact of this propaganda are palpable even in the documents of certain Israeli institutions. In our land, in fact, Jews, like Ukrainians, were victims of two totalitarian regimes, Nazi and Communist. Uncovering the truth about these regimes is the key to establishing normal relations between our two nations. Instead, attempts to look at the complex past through the prism of Soviet or contemporary Russian propaganda, and to see the crimes committed by only one of these regimes is to continue the taboo policy pertaining to the Kremlin’s victims among Jews and Ukrainians. Rejecting the quest for truth cannot be a path to liberty. Ukraine has fully opened all its archives, it condemns in equal measure the Nazi and Communist totalitarian regimes, and pays tribute to those who fought for independence. We are certain that, despite the shouts of hostile propaganda, the quiet words of archival documents will prevail, and the world will learn the facts of this tragic page of the past,” declared the head of the Ukrainian Institute of National Remembrance in his commentary to Radio Liberty. 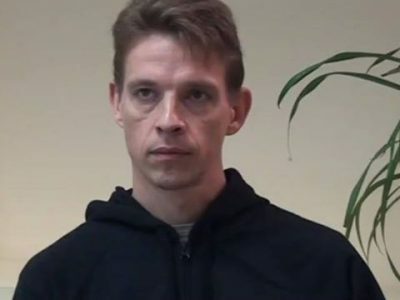 The former dissident Josef Zissels, who is a member of the presidium of the Association of Jewish Organizations and Communities, has stated numerous times that the level of anti-Semitism in Ukraine is one of the lowest in Europe. Iryna Shtogrin has been a Radio Liberty host since October 2007. Editor of the special programs “From the KGB Archives,” “Sandarmokh,” “Donetsk Airport,” “The Ukrainian Helsinki Group,” “The Holodomor,” “Those Who Know,” and others. Host and editor of the television projects “All of Us Together.” Creator and compiler of the documentary book AD 242. Creator, director, and producer of the documentary film SICH. Worked as a commentator at the cultural office of the international service of the national television and radio company Radio Ukraine, editor-in-chief of the news service of the radio station Our Radio, editor of a project run by the International Organization for Migration Against Human Trafficking. Graduated from the faculty of philosophy of Rostov University. Completed a bi-media course on television and radio journalism at Internews Ukraine, as well as a number of courses offered by IREX ProMedia. She can be reached at ShtogrinI@rferl.org. Originally appeared in Ukrainian here.